Nashville via New Jersey rocker Rich Lynch started his recording career with an infectious piano driven track called "I Want to Live In a Dome" (Amazon.com | CDBaby.com | GooglePlay | iTunes). The hopeful and architecturally inspired anthem took on even more meaning when upon moving to Tennessee he found a strong culture of dome builders there. Already, there are a considerable number of concrete monolithic style domes being constructed minutes from downtown Music City. LYNCH REALLY NEEDS YOU. EVERY COPY OF THE SONG SOLD WILL DIRECTLY FUND THE BUILDING OF HIS DREAM DOME IN NASHVILLE. ALL YOU NEED TO DO IS PURCHASE THE SONG AT THESE LINKS! "I really do still want to live in a dome and have decided to dig right in and join the dome movement here in the Volunteer State," Lynch determined in a 2018 interview for music mag Music City Nashville. "All I need now is some volunteers to download my single and we'll get the shovels in the ground and start blowing up that balloon!" The Texas-based Monolithic Institute provided some early coverage for Lynch and his dream to build a dome. His song actually described the multi-step process involved in building the safe and disaster resistant domestic structure and his ambitious story was picked up in their popular industry focused Round 2 It blog. 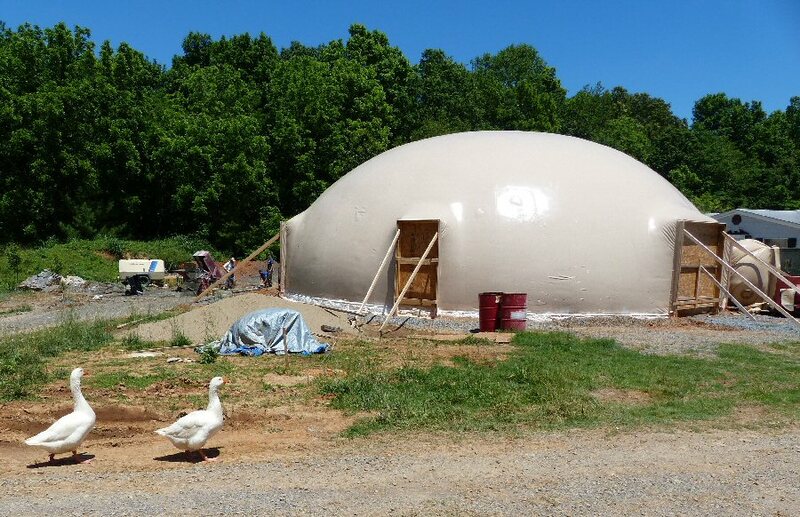 Lynch plans to build a dome similar to this one in currently under construction in White House, Tennessee.